Now you can play with your food! Now you can play with your food! 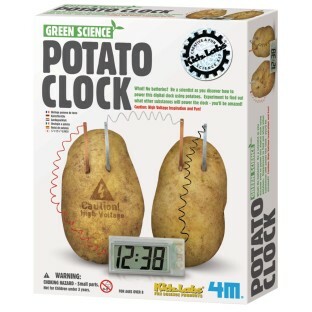 Kit contains a digital clock, instructions and everything you need to make a real working clock powered by potatoes! Spuds not included.